While forward-facing bulletin boards are great for students entering or exiting the school, it’s also important to be able to notify those who are going in a different direction. 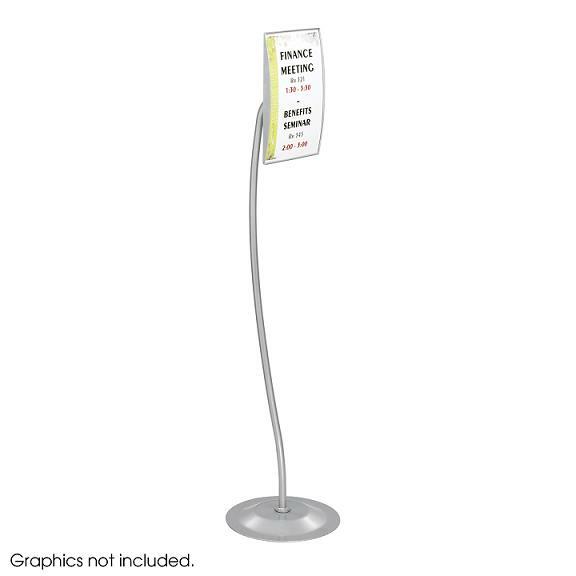 Similar to how mall store directories often have a 3-D design to accommodate shoppers coming and going in different directions, having a multi-directional bulletin board is a great tool to ensure you cover centralized, high foot traffic areas of the school. 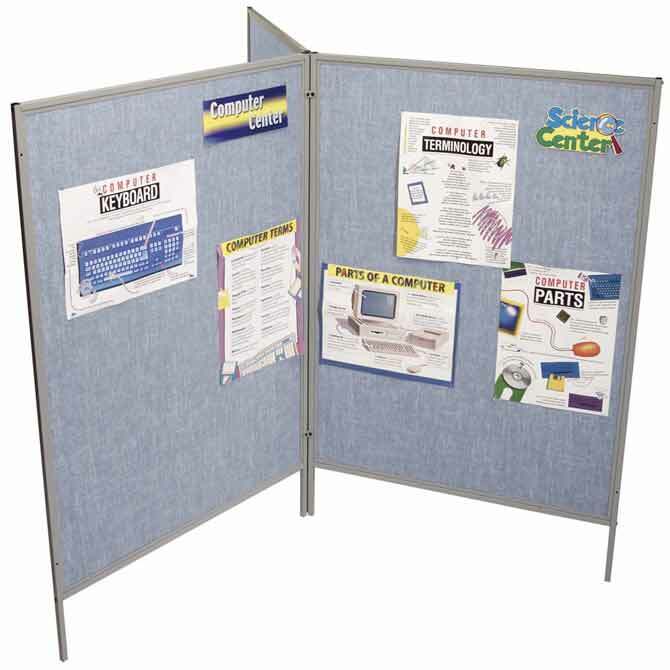 The Vinyl Floor Display Panel by Best-Rite utilizes a modular design, allowing its panels to be arranged in different configurations depending on your school’s layout. During times of mid-term exams, state-mandated aptitude testing, or special events, having a focused display solution is not only eye-catching but conveys special instructions to ensure a productive outcome. For example, a sign that says “Quiet Please: Testing in Progress” offers a courtesy notice to those passing by to make that cell phone call outside instead. Another situation could be a special evening event such as a concert location change or special seminar with a guest speaker where a small display can help direct visitors and guests. 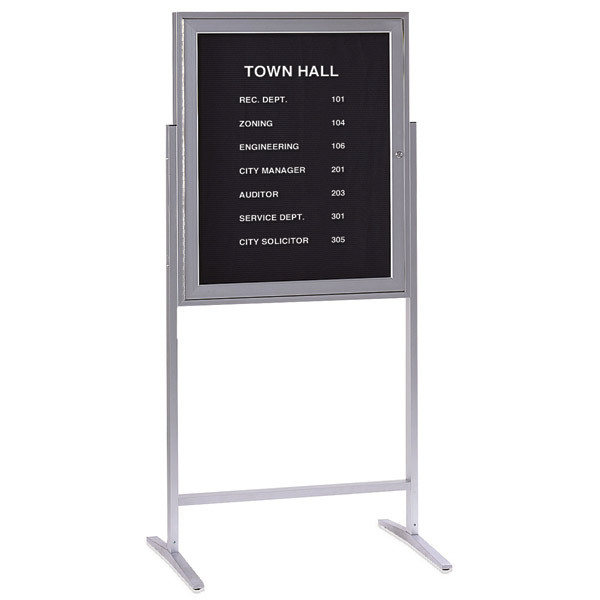 The Customizable Rectangular Sign by Safco Products offers an adaptable and succinct display solution that’s perfect for any special event. While no display board can notify every single student of upcoming events and location changes, having several solutions ready to deploy offers a heads-up to many students who then pass it along to their peers. In addition, utilizing different display solutions creates flexibility since no two schools are identical in terms of physical layout and event schedules. 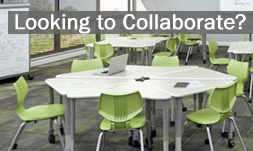 Because of this, we invite you to check out our comprehensive line of Bulletin Boards and Display Boards and allow us the opportunity to help you find the right displays for your learning environment!